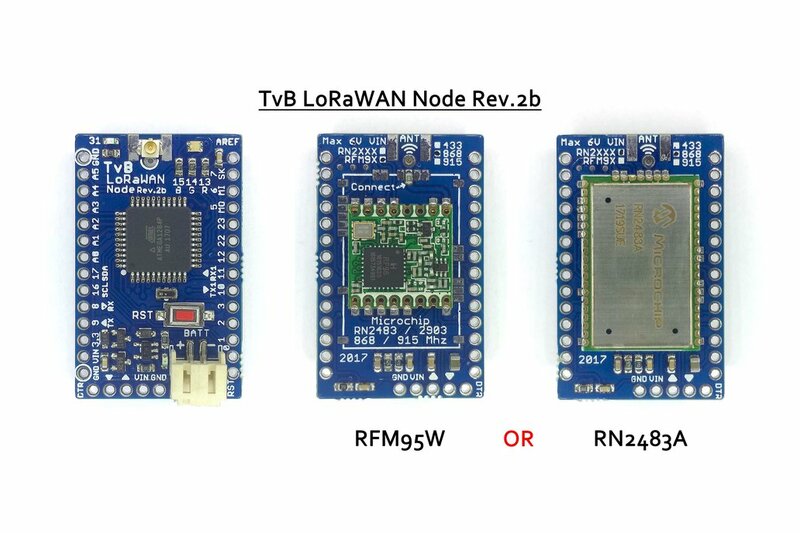 TvB LoRaWAN Node Rev.2b default without LoRaWAN transceiver. Need a transceiver? Select what you need! The TvB LoRaWAN Node is a LoRaWAN development board with powerful, Arduino compatible Atmega1284P microcontroller. 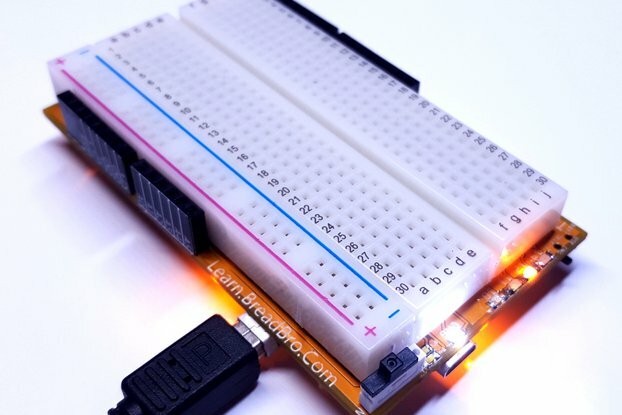 The compact 41x26 mm, breadboard compatibel design makes it the perfect starting base for your all your LoRa (WAN) projects. A 3,7V Li-Ion or LiPo can be connected to the decicated JST 2.0 PH battery connector. 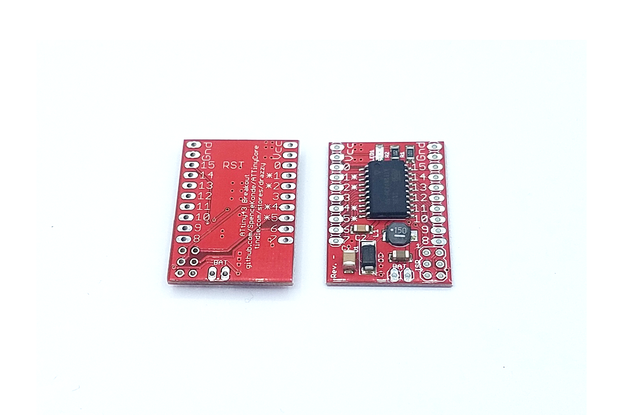 The battery can be charged by connecting a 5V USB-Serial converter or with a voltage above 3,7V (to maximum 6V) DC on the VIN pin using an external voltage or solar panel. The Node supports multiple LoRaWAN transceivers. The default version is shipped without LoRaWAN transceiver. You need to solder your own transceiver. You need some moderate soldering skills to do this without issue's. Fully assembled versions are also available when in-stock. 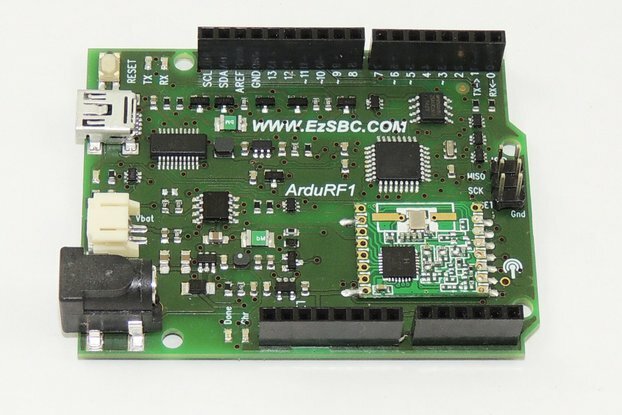 All boards are manufactured and tested in Belgium. Shipping in sealed antistatic bags, protected against ESD and moisture. Shipping information not available, please add to cart to see shipping options.